Defense Secretary James Mattis said Russia's government was behind the scheme. U.S. Defense Secretary James Mattis revealed that the Russian government attempted to interfere in the U.S. midterm elections. Russian President Vladimir Putin "tried again to muck around in our elections this last month, and we are seeing a continued effort along those lines,” Mattis told an audience at the Reagan National Defense Forum in Simi Valley, California on Saturday. The revelation comes just days after President Donald Trump canceled a formal sit-down meeting with Putin on the sidelines of the G-20 summit in Buenos Aires, Argentina this weekend. 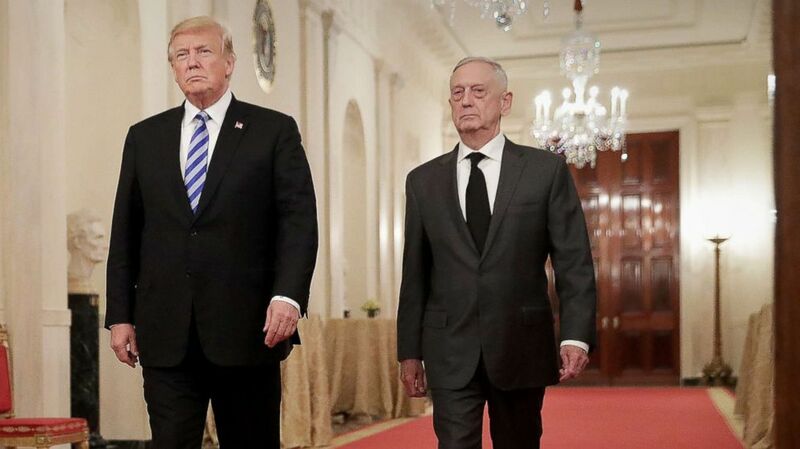 (Chip Somodevilla/Getty Images, FILE) President Donald Trump and Defense Secretary James Mattis arrive for an event in the East Room of the White House, Oct. 25, 2018. In his remarks, Mattis also highlighted Russia's recent aggression in the Kerch Strait with the seizure and detention of two dozen Ukrainian sailors and acknowledged that "there is no doubt" that the U.S.-Russia relationship has worsened. U.S. officials and expert observers said on midterms election night earlier this month they did not see the coordinated hack-and-leak attacks and infrastructure probing Russia is suspected to have conducted ahead of and during the 2016 presidential election. But independent researchers and social media firms said that Russia did continue its online influence campaigns to sow distrust in American democratic institutions. The U.S. intelligence community is reviewing data from the midterm elections for any evidence of foreign interference -- with a report on the probe due to the administration later this month. After the 2016 presidential election, the U.S. intelligence community unanimously concluded that Russia meddled in the U.S. political system. ABC News' Lee Ferran contributed to this report.